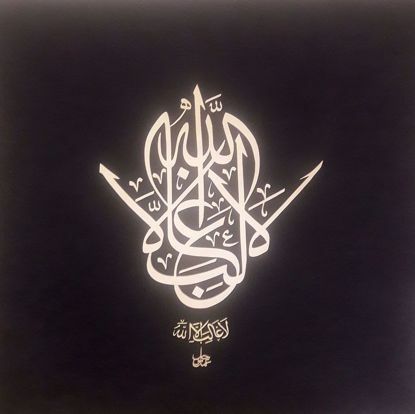 The artist cut Alif, the first letter of the Arabic alphabet which symbolizes the absolute unity of Allah in the Islamic faith. The artist cut the Arabic phrase "Bismillah-ir-Rahman-ir-Rahim" which means " In the name of Allah, The Most Gracious, The Most Merciful" in the shape of a rose. The artist cut the Arabic phrase "Bismillah-ir-Rahman-ir-Rahim" which means "In the name of Allah, The Most Gracious, The Most Merciful". 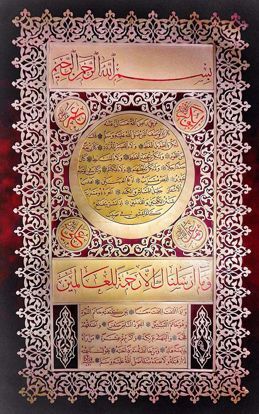 Hilye is a beautiful and significant description of Prophet Muhammad (ﷺ)’s moral, behavioral, and spiritual merits, as well as physical appearance. 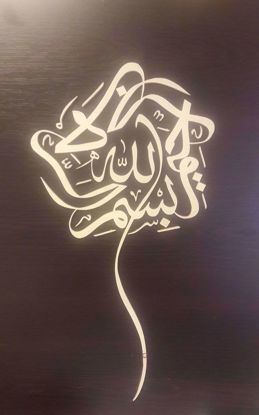 The artist cut the Arabic phrase "La ghaliba illa Allah" which means "There is no victor but God "
The artist cut the Arabic phrase "Masha'Allah" which means "This is what Allah has willed” or “As The God willed” in the shape of a tulip. 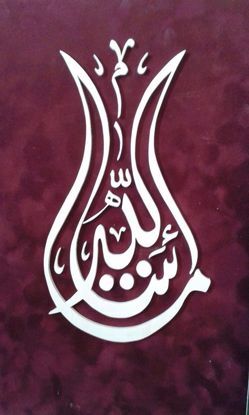 Art of Naht is to apply calligraphic scripts and decorative patterns on wood by means of carving, inlaying, and illumination techniques. It transforms scripts and patterns into 3d structures using a wood or textile backdrop. Copyright © 2019 Xumaru. All rights reserved.